Jack Ryan: Shadow Recruit just released on Blu-ray Combo Pack, DVD and digital download in time for Father’s Day! After all, what father doesn't like spy thrillers? My guy is also a Jack Ryan series fan way back to when Harrison Ford held the role. Unfortunately, he wasn't able to see the film in theaters due to dad duty, so this is a perfect flick for us to watch together this Sunday night. The latest installment in the popular films based on the Tom Clancy hero, stars Chris Pine (Star Trek, This Means War) as Jack Ryan analyst turned operative. It's directed by and also starring Kenneth Branagh with Kevin Costner and Keira Knightley co-starring. It's an A-list cast and as a result, the acting in this film is really strong. It's important to note that this version is NOT a prequel, but a reboot to the popular franchise, which is always exciting! So even if you're not familiar with the previous Jack Ryan flicks, you can easily watch this film without having seen any of those or read the books. 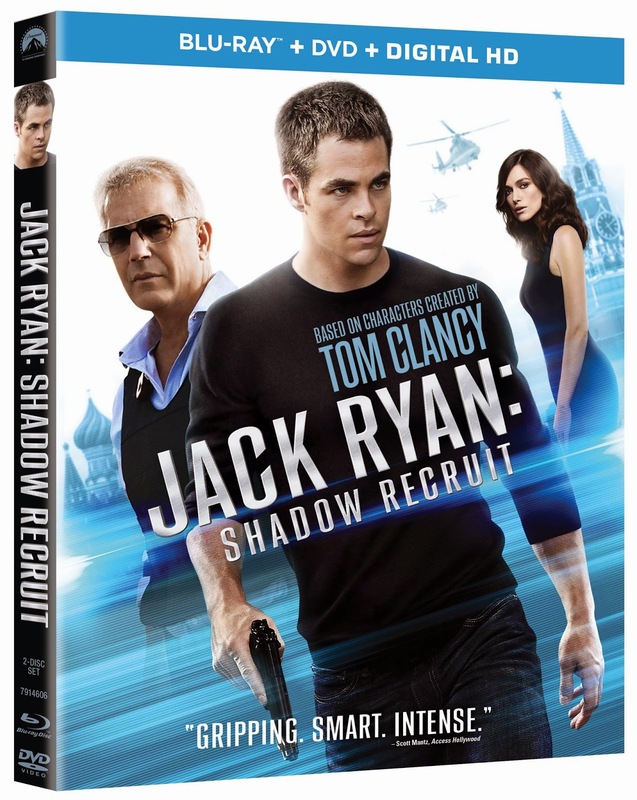 Giveaway: In honor of the films' release and dads everywhere, I have Jack Ryan: Shadow Recruit on Blu-ray and a copy of “Command Authority”, the new Tom Clancy book to giveaway. Enter below. Good luck!